Super Savings Item! Save 36% on the Galaxy S6 Case, Arae Samsung Galaxy S6 wallet case,[Wrist Strap] Flip Folio [Kickstand Feature] PU leather wallet case with ID&Credit Card Pockets For Samsung Galaxy S6 (Brown) by Arae at DJ Luu. MPN: FBA_NTECeaq. Hurry! Limited time offer. Offer valid only while supplies last. Premium Synthetic Leather Wallet Case, Precisely Design for Samsung Galaxy S6. Build in Card Pockets to Conveniently Store ID, Credit Cards & Cash. 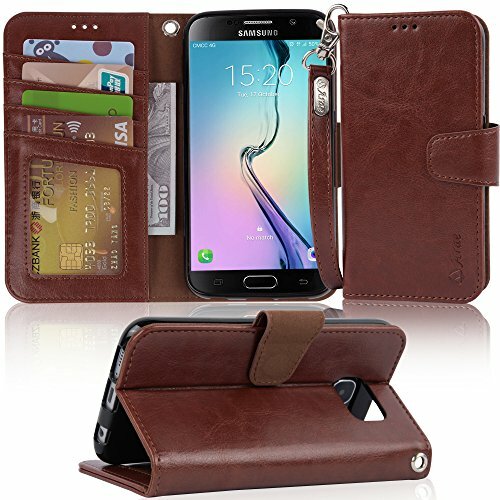 Premium Synthetic Leather Wallet Case, Precisely Design for Samsung Galaxy S6.